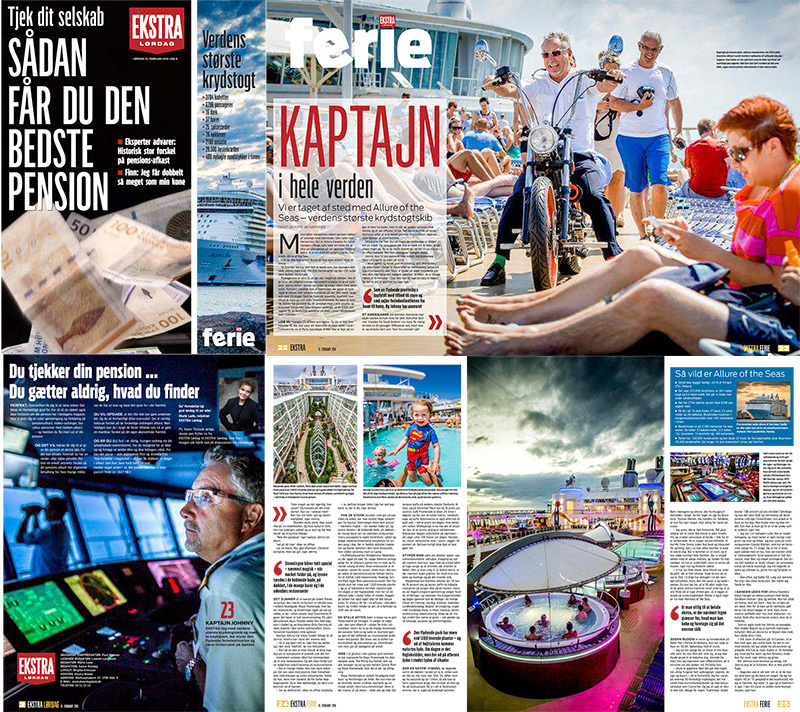 The Danish newspaper Ekstrabladet featured a story from Allure of the Seas in their weekend magazine. Text and pictures for the story was made by the founder of cruisephotofilm.com, Bo Mathisen. TAX NOTIFICATION (NORWAY ONLY): Photofilmarchive is registered in Norway, and domestic tax (mva) will be added to purchases from Norwegian customers. CRUISEPHOTOFILM.COM: Our site cruisephotofilm.com is where you will find our showreel and more info about how we work (assignments). Copyright © 2019 Bo Mathisen | Photofilmarchive.com, All Rights Reserved.